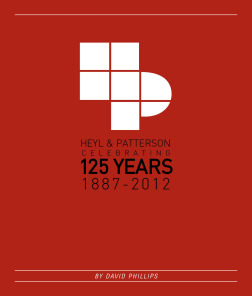 Heyl & Patterson's experience in engineering innovation spans more than a century, and our dedication to creating superior products and services continues to evolve. Few private corporations can make this claim, and many of today's industrial giants fall short of our record of lengevity. Please fill out the form to the right, and you will automatically be sent an email that contains a link to our 125th Anniversary History Book. Click on the link to open a digital flip book that you can also save as a PDF.